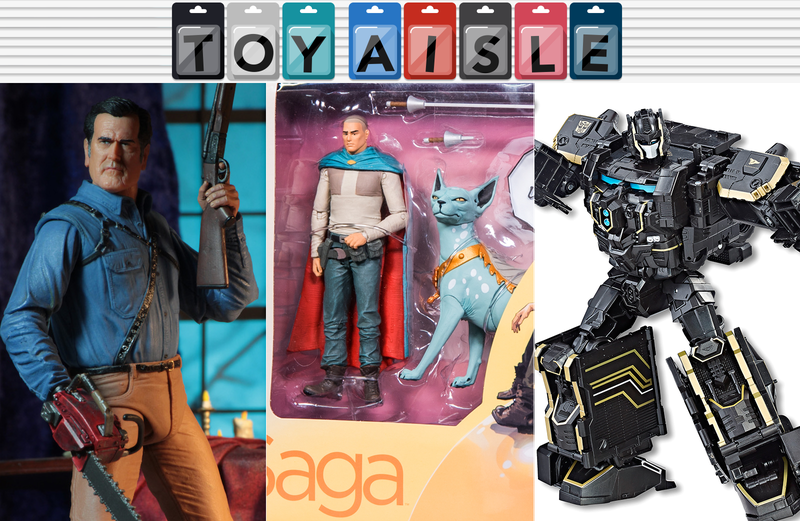 Welcome back to Toy Aisle, io9's weekly round up of all things merchandise. This week we’ve got even more San Diego Comic-Con exclusives to drool over, some new Lego from the upcoming Ninjago movie, and the best plastic recreation of Bruce Campbell’s face the world has ever seen. Really! Our interest in skateboarding started and stopped with the original Tony Hawk Pro Skater video game, but all it takes is an amazing black and gold version of Optimus Prime, co-designed by Paul Rodriguez’s Primitive brand, to get us interested in gleaming the cube again. Available at Hasbro’s San Diego Comic-Con booth for $50 (and afterwards at HasbroToyShop.com) Optimus comes in a skate shoe-inspired box, and includes a smaller Titan Master figures called Shreddicus Maximus who rides a hoverboard on rail and ramp accessories.